In fact Zoya nail polishes are free of nasty chemicals like Formaldehyde, Formaldehyde Resin, Dibutyl Phthalate, Toluene or Champhor. These are not only bad for your health but also for the environment. Zoya's idea is to replace those chemical nail polishes we all have at home by non chemical nail polishes step by step. Therefore you now have one week to buy 6 - 24 new Zoya nail polishes with 50% off and return the same amount of old nail polishes so that they can be disposed of in an eco-friendly way. And now the disadvantage: this only counts for the US as Zoya doesn't ship internationally... I think that's quite sad because I would have loved to join the initiative (I had already started choosing 6 shades in my mind). 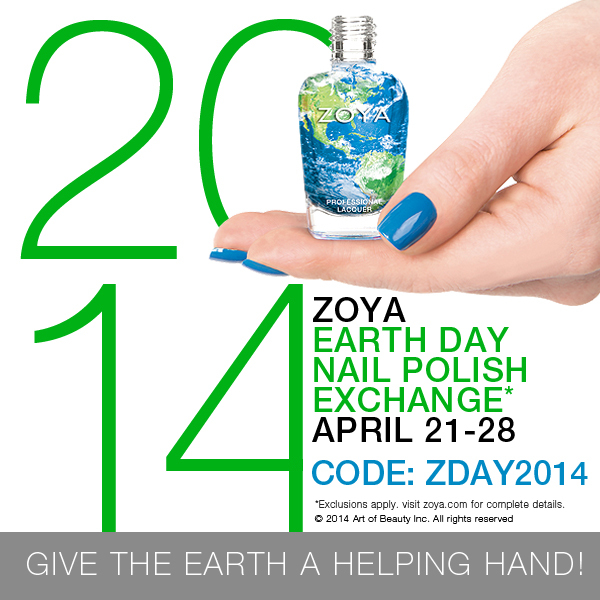 If however you live in the US I can warmly recommend you to check the Zoya Blog for further information. I mean you will never get a better excuse for buying a dozen new nail polishes at a time, will you? 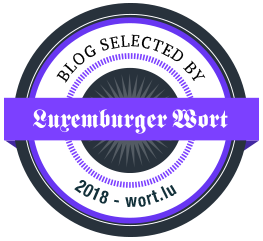 Das ist eine wunderbare Idee!! Schade das es nur für die US gilt. Ich hätte auch gerne mitgemacht! Hier gibts ja auch ein paar bio Nagellacke und ich hab noch keinen ausprobiert. Muss mal schauen!! Looks like a great polish! I love that it doesn't have any harsh chemicals as well, which sometimes causes my nails to become a bit yellow-ish (ugh!). Thanks for introducing this brand. I will watch out for it on my next US trip! Great initiative pity it's only in the US! That's awesome! WTG Zoya for being eco-friendly! So cool! Love the blue! Das hört sich sehr gut an, eine tolle Aktion!